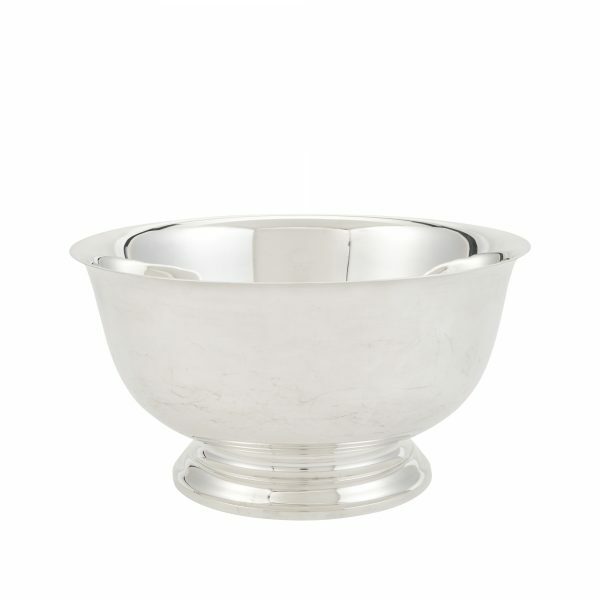 English, Sterling Silver Muffineer, Shaker By Mappin & Webb. Dated 1902, London. 9″ Tall. Antique German, “800” silver gravy or sauce boat on stand. Beautiful hand chased body, standing on four feet, attached to the under tray. The tray with an applied border with hand chased decoration. Made by Gebruder Friedlander, Berlin, circa 1890s. Friedlander brothers, a family firm of gold and silversmith founded in 1829, and eventual became royal jewelers. Four generations later, the business eventually closing in 1929, when they fled Germany. English, sterling silver asparagus tong with 12 individual asparagus eaters. Made by Garrards, The Crown Jewelers in the rare, Elizabethan Pattern. Each item is fully and correctly hallmarked, London, circa 1955. The server is 8 5/8″ long x 1″ wide. The eaters are 4.5″ long x 1.25″ wide. Large Oval, Antique English, Old Sheffield Plate, Soup Tureen, Georgian, Circa 1820’s.. Beautiful hand engraved coat of arms on either side of tureen & cover. 18″ x 12″ x 12.5″ high. The tureen is complete with the original Liner. Motto – TRIA JUNCTO IN UNO = Three Joined In One, And PROMTUS = Take or Bring Forth. Large, Glass Overlaid With Sterling Silver Trivet. 10″ Diameter. Made By Webster. Other Sizes Available. 3″, 6″ & 8″. Check My Web Site For Other Sizes.